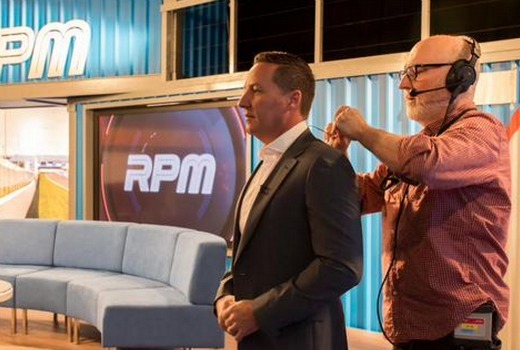 Motorsports magazine show RPM returns to TEN at 4pm on Sunday March 8th after a three year absence, as part of TEN’s new V8 Supercars coverage. TEN’s V8 Supercars season starts on Friday with the Clipsal 500, live from Adelaide with commentary by Matt White, Mark Webber, Alan Jones, Daryl Beattie, Rick Kelly and Mark Larkham. TEN will feature six V8 Supercars Championship races: the Clipsal 500, Townsville 500, Sandown 500, Supercheap Auto Bathurst 1000, Gold Coast 600 and Sydney 500 plus highlights of other races to air on ONE and TEN on Saturdays and Sundays. TEN Head of Sport, David Barham, said: “V8 Supercars are coming home to Network TEN in 2015, cementing our standing as the home of big event motorsport. Everyone at Ten is looking forward to bringing all the live action, thrills, drama and excitement of the biggest V8 Supercars events to all Australians on free-to-air television. “Our expert commentary team – which includes Australian favourite, Mark Webber – ensures that our coverage of the V8 Supercars will be a first-class television experience for viewers. “The return of the beloved magazine program RPM underlines our long-term commitment to motorsport. Week in, week out motorsport on TEN at Sundays, 4pm, clearly demonstrates our determination to deliver premium motorsport on free-to-air television,” he said. I’m with @Thaddeus. I’m getting sick of Ten’s marketing BS with regard to their supposed commitment to motorsport when they’ll be showing less than half of the V8 races, half the F1 races, no NASCAR, and no WRC. I do hope that Ten are sending you a weekly cheque for all of your uncritical support. Where is Neil Crompton……is he exclusive V8 Supercar TV? As William says – yes. You prob want to know what this will mean as far as screentime. My understanding is that he will be calling qualy and the races on Ten & One. Not sure about practice sessions. Ten loves to pull out the “long term commitment” line when it comes to any sports – V8, F1 and Netball, but with reduced coverage it seems the only “long term commitment” they like is the one with Foxtel. Set looks a bit Studio 10 esque with a similar couch, colours and set- I assume it’s filmed in the same studio in Pyrmont too? Look forward to seeing the latest incarnation of this show with Matt White at the helm.